eobiont - How to completely reposition a performance marketing platform in 3 weeks. How to completely reposition a performance marketing platform in 3 weeks. 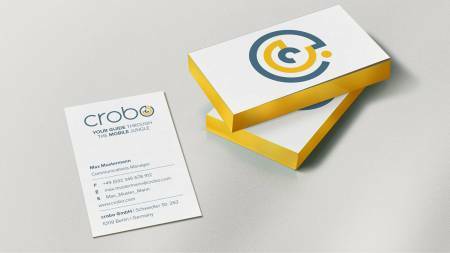 The performance marketing company crobo needed a rapid rebranding to reflect their new business strategy. 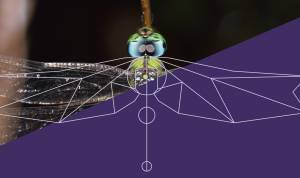 Using our Creation Machine methodology, eobiont was able to create a dramatic new brand identity, marketing collaterals and their website in the few weeks time available to us. 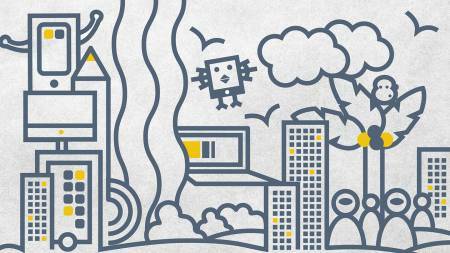 The successful startup crobo had its roots in gaming. When their business direction changed to performance marketing for more mainstream companies, they needed to reposition their brand identity. The time frame given to us was insanely ambitious: a complete new brand strategy, marketing collaterals and website within weeks. But we knew from past experience that our Creation Machine methodology would make this doable, and still with great results. They would be the good guys among the sharks. We immediately set up 3 days of workshops so that we could rapidly define the key components of their business, market and users. What we discovered was that pretty much all of their competition used jargon and complexity to confuse their customers. 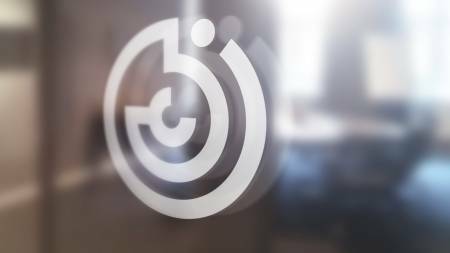 If we could focus on transparency and genuinely helping clients navigate the difficult world of performance marketing, crobo would have an opportunity for unique brand positioning. They would be the good guys among the sharks. 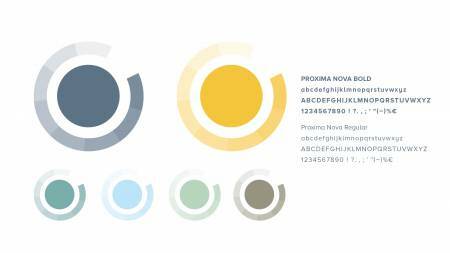 Once the basic strategic parameters were established, we were able to rapidly develop all of the elements of a new brand identity. 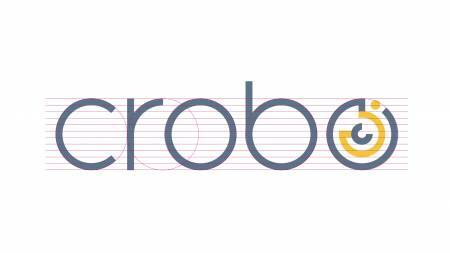 In the redesigned logo, the second crobo “o” becomes a maze. This maze symbol can also be used alone as a simple pictorial mark. 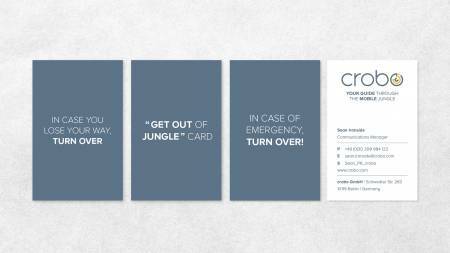 The new tagline, “your guide through the mobile jungle,” then gives context to the maze symbolism. 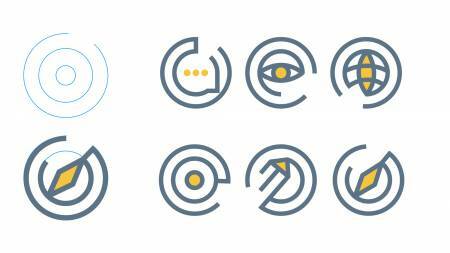 The maze symbol is used as a basic framework to create other icons that represent the various crobo services.This iconography is extended further to create a unique illustrative style, used both as static images and in short animations. 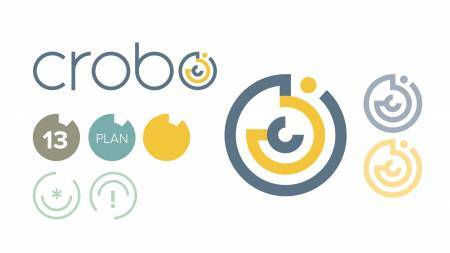 Taken as a whole, the new look and feel strengthens brand retention as it simplifies understanding of crobo’s performance marketing services. It expresses a company that is friendly, accessible and ready to help.